One Book, Two Book, Three Book, Four . . . and Five! I actually don't remember the last booky meme I filled out. And so when I ran across this fun (quick!) one over at Read the Book, I decided it looked like just the thing. I love everything about this idea. I'm about 80 pages in right, and so far so good! 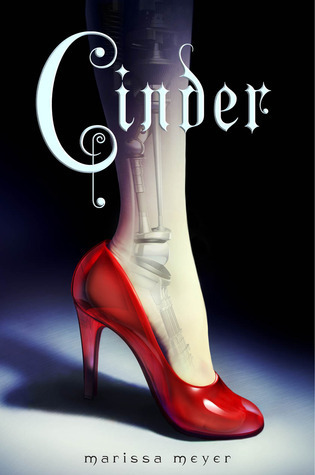 Linda writes some of my very favorite contemporary adult titles. This is her latest and, as usual, I fell right into it. Review to come. Entirely because of this review. I can only hold off a trip to the bookstore for so long. It must be mine soon. 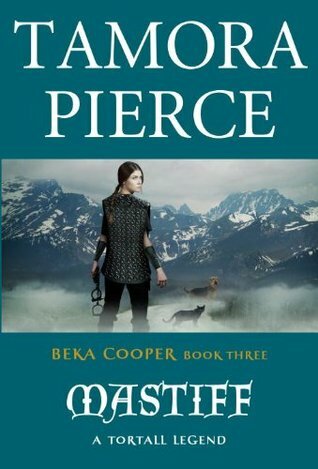 Because even though I wasn't crazy about the previous book in the trilogy, this is the third and final book, and I find I do want to see how Beka's story turns out. This unexpected gift brought tears to my eyes not only because I've been looking for a copy of this out of print collection for years, but because it arrived on a bad day. And suddenly something good had happened. Thanks so much, Martha. This really is a fun meme. I'm so glad you joined the meme! It originated with Simon (www.stuck-in-a-book.blogspot.com) if you were wondering. I've been meaning to read some Linda Gillard, but her books are so darn difficult to find in the US! How did you get a hold of yours? I think I've been wanting to read Star Gazing since I read your review, but it has proven impossible to get a copy. Love this meme, I'm thinking of participating! Aww that story about you receiving Robin McKinley's book is a good one. It's always a great feeling when you receive bookish gifts, especially those that are so hard to get. 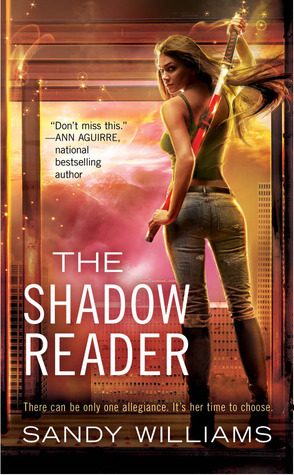 I've got The Shadow Reader sitting pretty on my kindle waiting for a long train trip up the south English coast on Saturday (which is also bonfire night!). Cannot wait to get my coffee, pastry and stuck right in! Sabrina, yay! I'm gonna start MASTIFF soon. 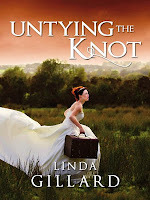 Joanna, as Linda mentions below, UNTYING THE KNOT and HOUSE OF SILENCE are available right now on Kindle, and that is how I read them. I got my paperback of STAR GAZING through Amazon and then Linda was so kind as to send me a review copy of EMOTIONAL GEOLOGY. And they're all worth checking out for sure! Nomes, it really did make my day. My week. Simon, thanks for originating it! And my favorite of hers has definitely been EMOTIONAL GEOLOGY. The only one I haven't read yet is A LIFETIME BURNING, though I have it in my TBR. Melissa, I'm about halfway through now and enjoying it. Holly, oh, wow. That sounds so fun and cozy. What do you do for bonfire night? Alexa, isn't that cover of UNTYING THE KNOT great? I've been impressed with Linda's self-pubbed covers. They're lovely and atmospheric. Depends on where you go but it usually involves heading out to a pub or local park where they put on an awesome fireworks display and build a big bonfire. The kids run around waving sparklers and munching on toffee and the grown ups tend to try and stay warm with mulled cider or wine. I'm pretty lucky where I am cos we not only have one of the biggest fireworks displays every year just up the road, we're also a 10 min train ride away from the town of Lewes which has this massive history with the holiday and puts on these amazing flaming processions through the streets and all the locals form guilds during the year and build these huge paper mache figures (usually of politicians or celebrities) that are paraded through the town before being stuffed with fireworks and blown up! Sort a nod to the real story of Guy Fawkes who the holiday is for. Holly, that sounds absolutely lovely. I didn't initially put Bonfire Night together with Guy Fawkes. But of course! Now I feel like watching V for Vendetta. Hope the holiday was a good one.